One of the youngest detainees held at the US detention centre in Guantanamo Bay will sue the United States for compensation, his lawyers say. Mohammed Jawad was released and arrived in his native Afghanistan earlier this week. His family says he was 12 at the time of his detention in 2002. He was in custody for seven years. The Pentagon, however, disputes his age. 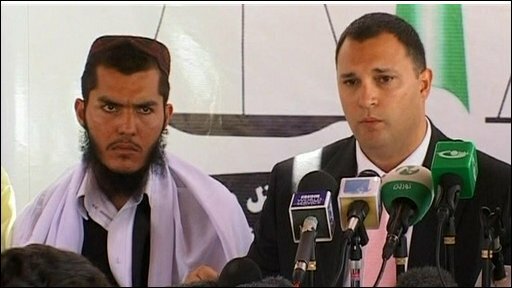 Mr Jawad had been accused of injuring two US soldiers and their interpreter by throwing a grenade at their vehicle. Much of the case against him had been ruled inadmissible by a US military judge in 2008. Mr Jawad's release was ordered last month by US District Court Judge Ellen Huvelle, who described the US government's case against him as "an outrage" that was "riddled with holes". US government lawyers had said they were considering pursuing a criminal case against Mr Jawad, but no charges were filed. US President Barack Obama has pledged to close the prison at Guantanamo Bay by January 2010. Mr Jawad's lawyers said his family would sue for compensation in US courts, but added that he needed as much financial assistance as possible in the short term. "The way forward right now is to avail the Afghanistan government and the US government of funding to help train him and get him back to normalcy," Mr Jawad's lawyer Major Eric Montalvo was quoted by the Associated Press news agency as saying. "So to not give him any compensation - any way to help him back to civilisation - this is unacceptable," Mr Montalvo told a press conference in the Afghan capital, Kabul. "There is no difference between being confined in Guantanamo Bay or being left out in the wild without assistance," he said. Mr Jawad's family say he was 12 when he was arrested in 2002. The Pentagon says a bone scan showed he was about 17 when taken into custody. Mr Montalvo, a US military lawyer, says Mr Jawad, who does not have a birth certificate, was between 12 and 15 years old at the time of arrest. "I was an innocent child when they put me in prison," Mr Jawad told The Associated Press in an interview. His family and lawyers say Mr Jawad was subjected to torture while in detention.